The 2018 World Championship jury issued an update to the misconduct hearings against Iker Martinez (ESP) following his refusal of entry to the regatta. Here is a full copy of the findings. Critically, the facts found state that Martinez deliberately modified his boat and then lied about it to the Jury Panel. 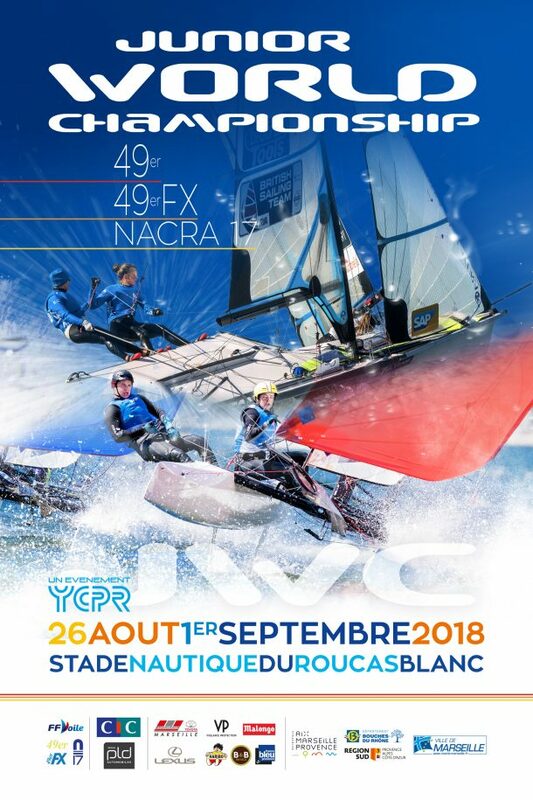 As the Nacra 17 is a manufacture one design, no modification to a boat are allowed, and taking that a step further, all repairs must be approved by the class Technical Committee. The panel ominously states it’s power to penalize Martinez beyond the existing penalty of refusal of entry, is “severely restricted” and they will report this decision to World Sailing under Racing Rule 69.2 (j)(2). It would appear that the jury panel is keen to have World Sailing impose further penalties upon Martinez at a later date. Martinez has asked that the case be re-opened again, sighting casebook case number 139. This case refers directly to when a case should be sent to World Sailing. One would suppose that Martinez will try to argue that the case should be to sent to his MNA instead of to World Sailing for further review. At this point it would appear that arguments have moved away from the facts found toward the penalties to be suffered. The modification to ESP 70, his Nacra 17, was to elongate the area where the top bearing slides on each side of the boat to 79.5 mm from the standard of 75mm. This allows the top bearing to be moved farther aft than on a standard boat, allowing for increased lift from the daggerboards. On each side of the hull, the original bolt holes were filled and new holes drilled farther aft, and a medal guide was also altered. Olga Maslivets, the crew of ESP 70, has not been named in any of the protest documentation. She did not immediately respond when asked for comment. 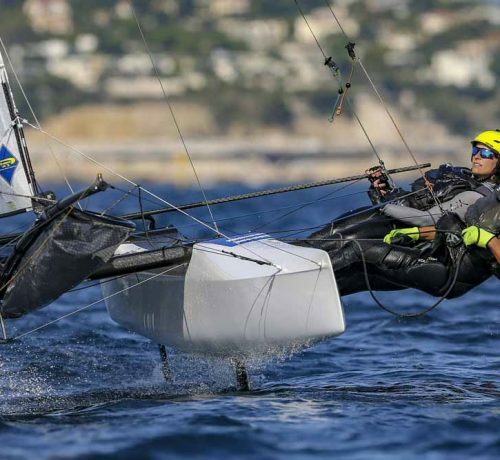 The Nacra 17 Class has been focused on continual improvement of equipment and quality since the 2016 Olympics and the introduction to foiling. By placing a dual emphasis on reliability and consistency on all parts, we are aiming to have a zero tolerance policy toward modifications. 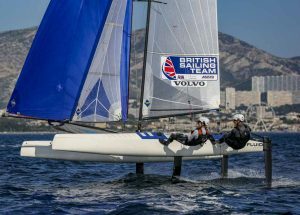 The Class works with the sailors to change rules where necessary (The Class has had roughly 60 AGM/EGM submissions in 18 months) and continues to work with Nacra Sailing to change the build specification when sailors agree and where it is necessary. All of the Class’s measurers were brought to Palma this year, at the Class’ expense, to build the relationship with sailors and to ensure a consistent focus in their measurement approach. The Class technical committee has been active all year, lead by David McNabb.m and World Sailing has supported the Class’s efforts by allocating significant technical resources. “While we aspire to much more improvement I am satisfied with the direction of the Class over the last 18 months toward a level playing field with regard to equipment. 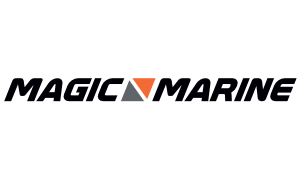 We have worked with the manufacturer, sailors, Class technical committee, and World Sailing to start to create an environment where everyone trusts that they are racing with the same equipment as their competitors. We are not there yet but we are committed to the strict one design ethos and will continue to work as a collective. 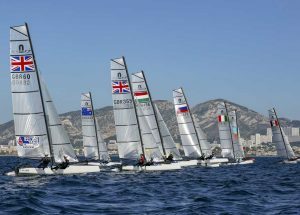 We aim to achieve the progression in rules and equipment specifications that this a Class needs in an effort to satisfy the best sailors in the world. While very disappointed with this situation and the unwanted focus on cheating, our measurement procedures have worked, in this case, to ensure that we are a strict one design Class” said Class President, Marcus Spillane. “While an incident like the one playing out this week grabs headlines, it takes the consistent work of a large number of people to create a Class culture we can be proud of,” said Class manager, Ben Remocker.